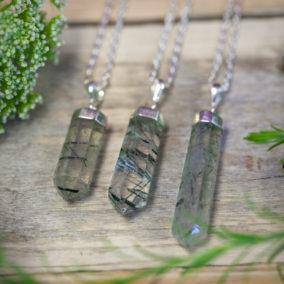 Beyond their stunning appearance, these Green and Black Tourmalinated Quartz Wisdom and Protection Pendants hold incredible magical properties! These talismans are made of AAA grade green and black tourmalinated quartz, anchored in a 925 sterling silver bail – and the energy that vibrates off of each one couldn’t be more potent. If you’re in search of wisdom, healing, security, and protection, look no further: this offering is for you. Green tourmaline is a beautiful and potent talisman of wisdom, healing, and financial windfall. 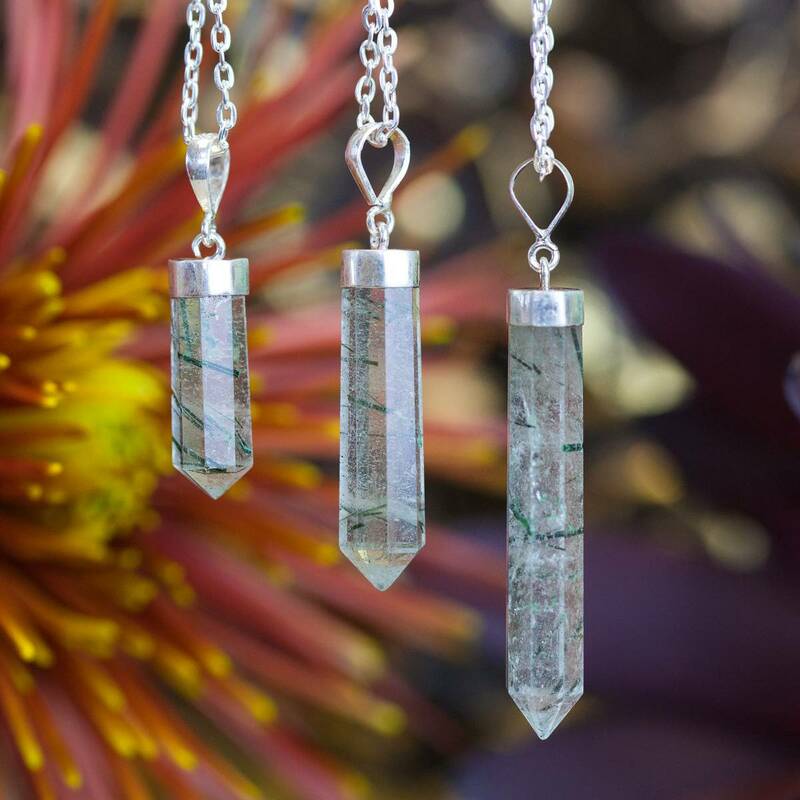 This magical crystal opens and activates the Heart Chakra, deepening your sense of compassion and allowing you to see your path to love. 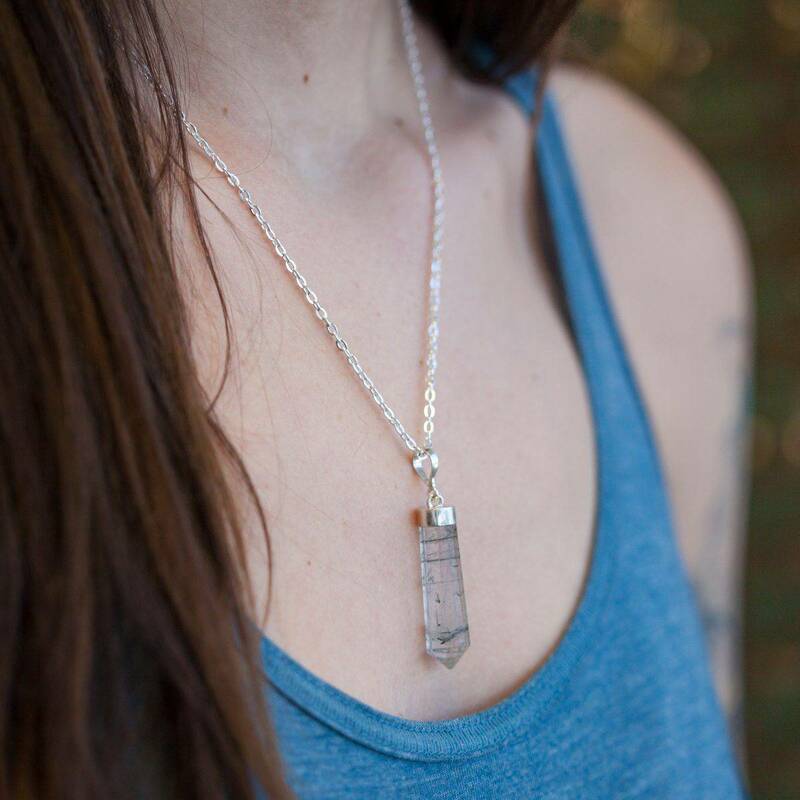 This stone is also known for its ability to enhance levels of vitality, stamina, and energy during physical activities – it evokes the warrior within you. Working with green tourmaline can help you overcome fear and remain present during confrontation and fearful situations. Black tourmaline is one of my favorite protection stones – in fact, I keep pieces of this gem buried in all four corners of my property, for supreme safeguarding. 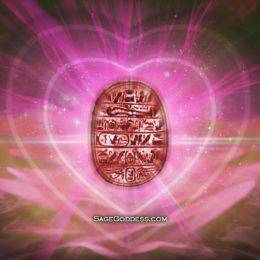 This gem offers psychic protection, energetic purification, and relief from negative thought patterns. 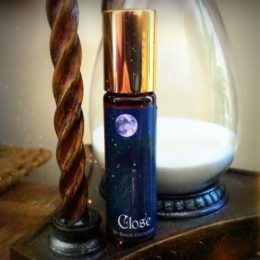 It is known to create an energetic shield around the bearer, deflecting negative vibrations and sealing holes in the auric space. 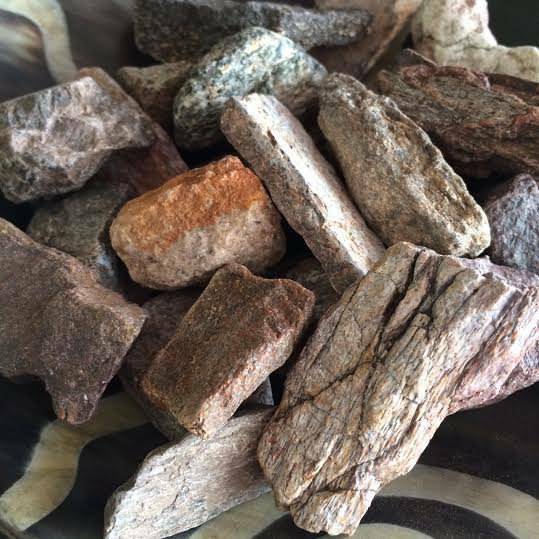 Working with this stone will help you cultivate a sense of safety and stability, and will ensure that you are surrounded only in vibrations that align with your Highest Good. This listing is for one (1) Green and Black Tourmalinated Quartz Wisdom and Protection Pendant. I have three sizes to offer you: Small (about 1” in size), Medium (about 1.25” in size), and Large (about 1.5” in size). Yours will arrive strung on a silvery chain, lovingly parceled along with a single leaf of white sage and cards describing the properties of the stones.